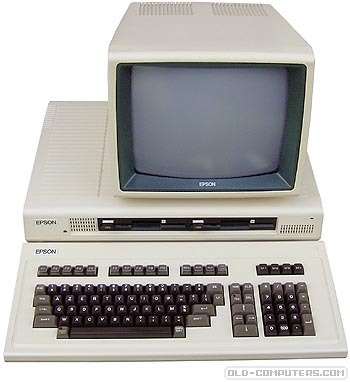 The QX-10 was a robust small business computer that used tried and tested technology rather than anything too innovative. Nevertheless, it was designed to be complete in itself for both hardware and software. It had an enhanced keyboard with 10 function keys and up to 16 fonts can be defined. It had a battery to save clock, date and a small 2048 characters buffer. It could use MS-DOS programs thanks to an optional 8088 card. The QX-10 is, at first glance, not a revolutionary machine. Yet in many subtle ways it is. On the surface, its specs are not spectacular. But the real power of the machine lies in its careful integration of software and hardware. The software was designed with the hardware in mind and vice versa. Such products reflect a growing concern for the user, a recognition that the old standards for hardware and software performance are no longer good enough. We need better-quality products, more attention to details, better-written manuals, and state-of-the-art features. Fortunately, the industry is listening. see more Epson QX 10 Ebay auctions !